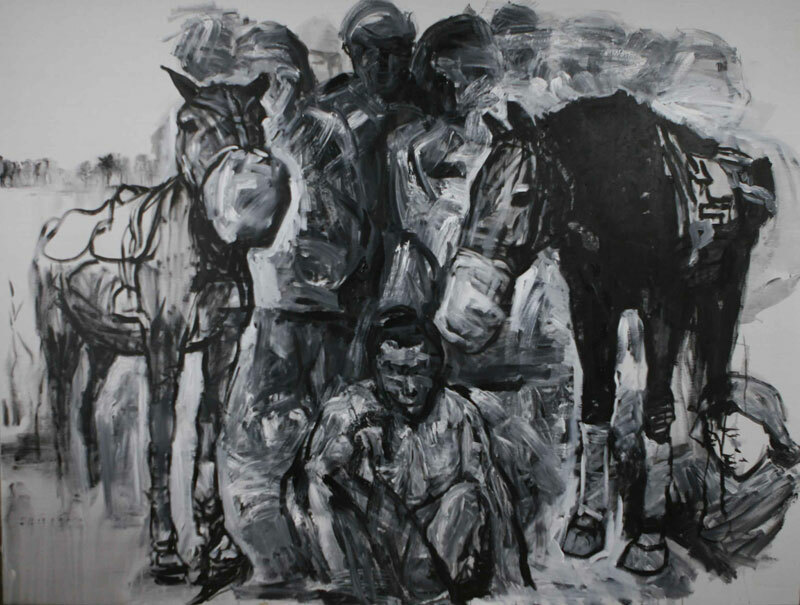 « Born in 1972 in Shichuan Province, China, Qiu Anxiong represents a new generation of Chinese artists. And he is certainly one of the quickest rising stars among his generation. Like many contemporary Chinese artists, Qiu’s oeuvre moves freely and smoothly from painting to video, from photography to installation. His recent sophisticated animation video works have brought him into the spotlight. Qiu studied painting extensively in China and Germany. His work is deeply rooted in traditional Chinese values, philosophy and aesthetics. Yet six years of living in Germany did contribute to his wide horizon and deep thinking on the world between east and west, past and present. In his recent animation video, « In The Sky » (2005), « Fly to South »(2006), and « The New Book of Mountain and Sea » (2006, debuted at Shanghai Biennial September 2006), Qiu depicts various issues of our contemporary world. He speaks of them quietly but powerfully. 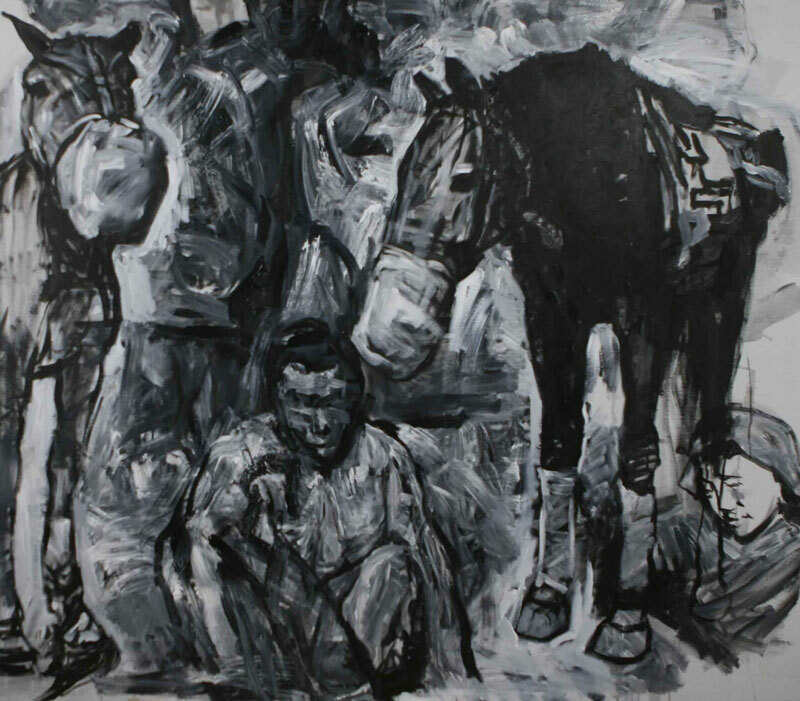 Qiu’s animation video works are all made from his black and white acrylic on canvas paintings. 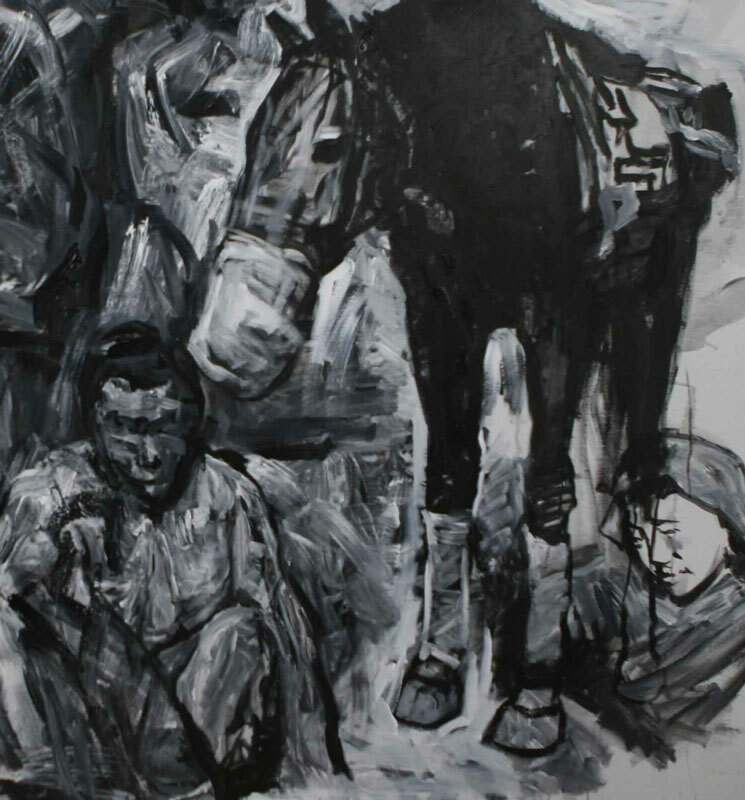 Yet, he often intentionally paints them in the style of Chinese ink wash paintings. Thus the paintings are poetic, lyrical, often carry a dream-like quality. As many of them Qiu’s works, « Minguo Landscape » has the kind of quietness and detachment, calm and timeless quality. It is partly due to his adoption of Chinese ink painting style. The fact that all the paintings are actually acrylic on canvas gives them a very fresh and interesting visual appearance. They are well balanced between floating and being controlled. « Minguo » is the Chinese name for « Republic of China ». It started in 1911, when Qing Dynasty ended and « Xinhai Revolution » succeeded. It was a dramatic historical turning point of China: it was the end of the traditional China, the beginning of a modern China. It ended in 1949, when Mao took over China and changed it to a communist country. During this time in search for a better China, many idealistic young people fought for their believes. The Minguo period was also an intense crossover of traditional Chinese culture and modern western civilization. It was a wonderful time with a blooming culture scene in literature, film and art; meanwhile an extremely chaotic and difficult time especially with Japanese war and endless civil wars. It was a time both China and its people were in searching of themselves and their future. And today’s China certainly shares many similarities to this past period, although China today is not suffering but prospering, with no war but in peace. Qiu is fascinated with « Minguo Period ». As he says, his impression of « Minguo » is just like the illusion of the city and sea in the desert: clear, beautiful yet illusive. With distance, it is easy for us to beautify history. Yet, Qiu’s admiration to this time is related to him as an idealist who admires purity. This purity is evident in the old black and white photography of the faces and expressions of those « Minguo people ». With this admiration, he travels back to this time and creates a narrative world for us. We see poetic countryside landscape juxtaposed with establishment of modern cities; animals such as donkeys and horses as transportation tools side by side with modern automobile and even helicopters; an old Shanghai-style record player with flower like speaker touched by a hand surreally coming out of the wall; troops in a long march in the beautiful mountain landscape; soldiers, farmers, students gathering in the city or country; sweet children playing or practicing calligraphy; last living moments of the Godfather of modern China; little boats in village as well as modern ships in the ocean; soldiers hidden on the road ready to shoot… We find this world filled with heaviness, romance, conflicts, humor and absurdity.As an individual, understanding this kind of history does give one a more clarified direction of future, both of oneself and our world. This might also shows a clear departure of this younger generation of Chinese artists in term of their artistic reasonability: this generation discusses political issue in a way that is closer to themselves as individuals. They are sincere and real.